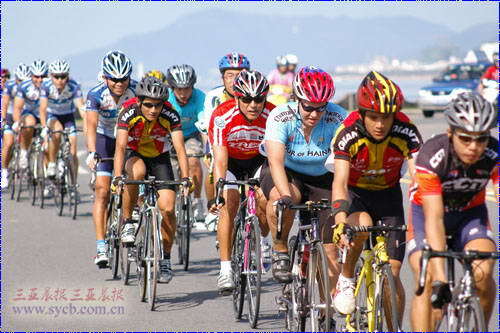 The 2011 6th Sanya Bicycle Race will be kicked off this Saturday in Sanya. The race has attracted 150 cyclists of 20 teams from South Africa, Hong Kong and Taiwan. They will compete in the road race and mountain biking race in the 2-day competition. The 6th Sanya Bicycle Race is hosted by Sanya Municipal Government, and undertaken by Sanya Bureau of Culture, Radio, TV, Publication and Sports and Sanya Cycling Association. The opening ceremony will be held at 8:30am at Sanya Haiyue Square on 17th Dec. The road race will be kicked off at Luneng New City at 9:00am on 17th Dec, and the mountain biking race will be taken place at Nanxin Farm at 9:00am on 18th Dec.